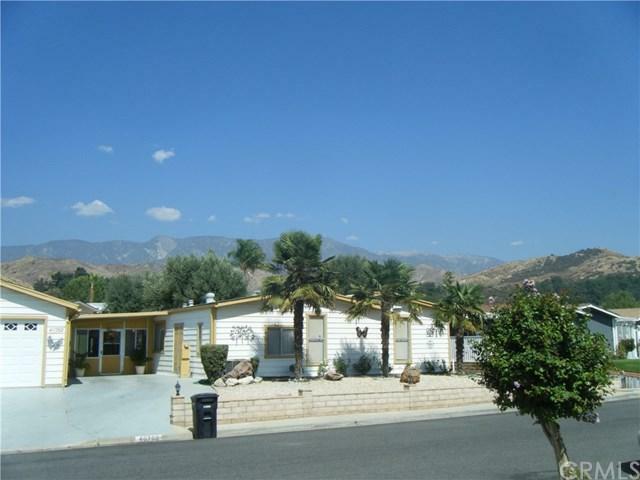 Beautiful triple wide home in a 55+ community is in the foot hills of cherry Valley. 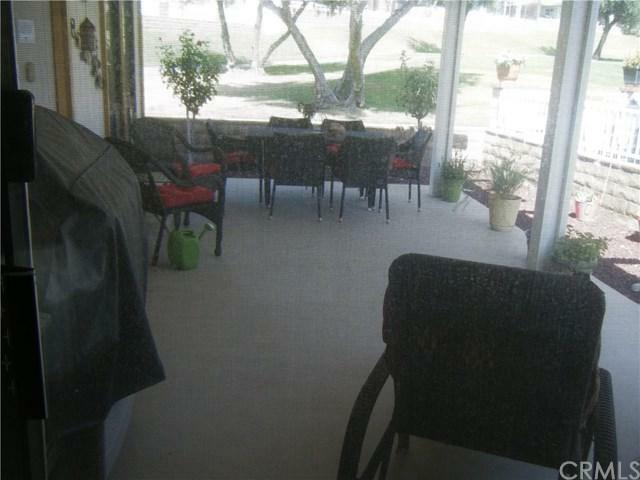 The formal side entrance opens onto a covered patio on the 4th hole of the Highland Springs Village golf course. The living, dining area features a built in hutch, sliding door and ceiling to floor strip mirrors for added brightness. The kitchen is filled with light, a walk in pantry, sliding pot shelves, lots of drawers and a curved counter bar. The great room has a built-in book shelf, desk counter, gas fireplace, wet bar with lots of shelving, a sink and refrigerator. The remodeled guest bath has a walk in shower. The Master Suite has a his and hers walk in closet with mirrored doors. The bath has a garden tub, walk in shower, storage and double sinks with wrap around counter. Among the manly features of this home is a very large screened room. The home is filled with light from the dual pane windows and sliding doors. Three ceiling fans help circulate the air. Windows in the living room, great room and kitchen face the golf course where there is a beautiful view of Big Bear and surrounding mountains. 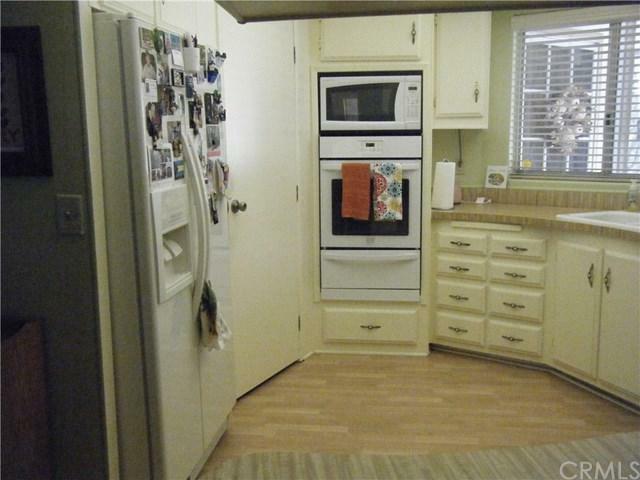 Laundry room has a built in desk with wrap around cabinets, a deep sink and pantry closet. 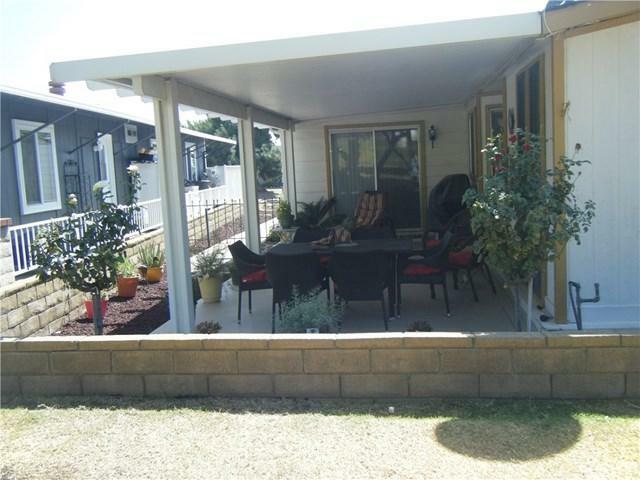 There are three separate low maintenance yards including a rose garden with lots of charm. The garage has an automatic door opener and a storage shed off the back.